On the Road to Chicago! We're off to Chicago today! 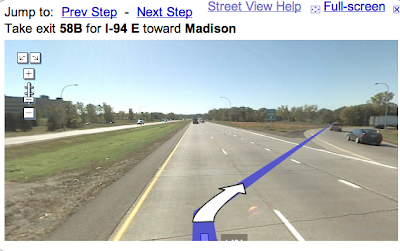 Google maps, as you can see, recommends driving recklessly. I'm not sure I'll be exiting the highway from the far left lane, but we'll see. More Shakespeare-related posts when we get there!